Quickly Eliminate Smoke, Soot, Dust and Odors from Wood Burning, Coal-Fired Ovens & Stoves and Meet Environmental & OSHA Codes with the Smoke Zapper Filterless Smoke Eater Purification System! Here We Offer a Quality, Money-Saving Air Cleaner Solution that Stops 95% of Smoke, Ash & Other Particles and Removes Smells & Extracts Fumes with No Filters to Replace, High-Heat Capacity, Very Low Maintenance, Green & Eco-Friendly with Fast, Easy Installation in Commercial Kitchens, Bars, Restaurants, Pizza Shops, Log Boilers, Industrial Waste Management, Incinerators, Crematories and More--all at a Discount Price with Free Shipping! The Smoke Zapper 250 is designed to handle emissions from medium to large wood/coal fired ovens. The SZ-250 manufactures an induced draft, which in most installations creates the appropriate negative pressure system without the use of an additional fan. The Smoke Zapper is the leading indoor and outdoor air pollution and smoke control system designed for the specific challenges of wood and coal fired ovens. The patented filtration technology is an exceptionally green and eco-friendly process that separates the Smoke Zapper from its competition with its use of a unique high-pressure water nozzle array. This array creates an induced draft which pulls smoke into the unit, where the air or exhaust is simulatenously rinsed of particulate matter and cooled to a safe temperature. The resulting vapor is then released into the atmosphere at an average temperature of 100°F, with up to a 95% reduction of particulate matter and a 50% reduction in odor as the vapor quickly evaporates without a trace. The Smoke Zapper is the most practical solution to fresh air and odor complaints, fire safety issues and regional/federal environmental codes. With its flexible installation method, low maintenance costs and engineered focus, the Smoke Zapper remains the unrivaled choice in pollution control systems for wood and coal fired ovens. 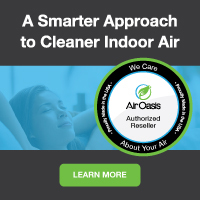 At Air Purifiers and Cleaners.com, we make it easy for you to find and purchase the best quality air quality control products, smoke eaters & more from top-rated manufacturers without having to search for hours online to find the right product and the best deals. Since we are an online store without the costs of traditional brick & mortar retail stores, we happily pass those savings on to you with the best discount prices with free shipping. We also ship directly from the manufacturer's warehouse, so you know you are getting the real product you're looking at online, not some knock-off. And since we offer free shipping and many manufacturers do not, buying from us is often better than buying direct because you get a discounted price and free shipping on most items, which saves you money you can put back into your business. Need financing? We've got you covered there, too! Call us today toll-free with your questions at 1-800-701-2513. Our experiened air quality experts are standing by to help!